Freewell is pleased to announce the new carry case for your HD monitor, after getting numerous requests from its loyal users. The DJI CrystalSky 7.85” Monitor Carry Case from Freewell is an excellent choice to carry your DJI CrystalSky 7.85 inch HD monitor safely during outdoor filmmaking or for drone racing. As the CrystalSky HD monitor is essential, apart from being quite expensive, for professional aerial filmmakers and competitive drone racers, it is vital to protect it against damage while being transported from one spot to another. The Freewell DJI CrystalSky 7.85 inch HD Monitor Carry Case gives you incomparable efficiency when it comes to storage and transport of your video monitor. It is made from special tough, yet lightweight, material to ensure durability and portability at the same time. Apart from these, it is highly compact in size too. It can store your monitor, its batteries and even the charger, all at once into the perfectly molded sections inside & the first of its kind. 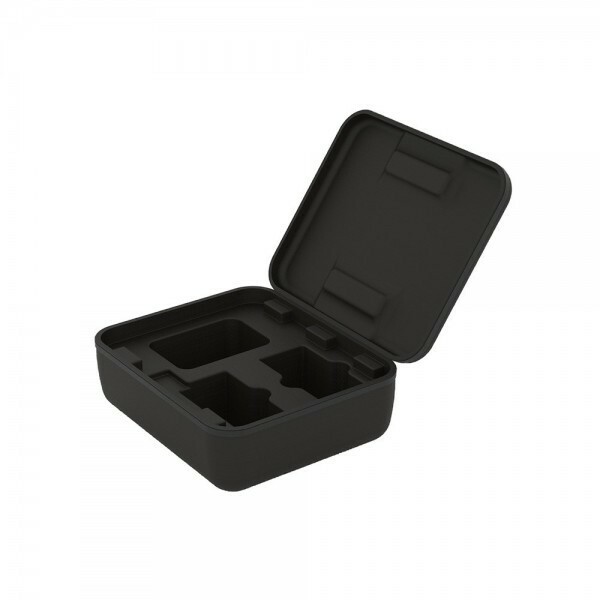 Compact – The carry case is extremely compact in size H8.5XW20XL23.1CM . The efficient placement and design of the interior sections allowed us to make it smaller than others. Durable – The special PU material used in its construction makes it one of the most durable hard carry cases. You can use it for outdoor use in rough terrain without fear of damage to your expensive HD monitor. Lightweight – The compact carry case is extremely lightweight just 290 Grams (10 Ounce) . This is one of the best aspects of the unique design and material used in it. This allows you to carry your HD monitor and its essential accessories effortlessly. Efficient – Apart from your CrystalSky 7.85 inch HD monitor, this carry case will also carry the batteries and charging hub, along with it efficiently with your crystal sky mount installed. To ensure that your DJI CrystalSky 7.85” monitor is safe from physical damage while transport and to carry its batteries and charger effortlessly around, get the Freewell Carry Case for the DJI CrystalSky 7.85” Monitor now.